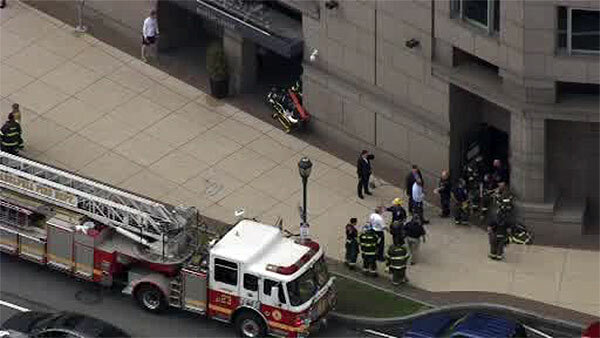 CENTER CITY (WPVI) -- A fire prompted an evacuation at a hotel in Center City Philadelphia. It happened at 8:15 a.m. Friday at the Logan Hotel at 18th Street and Benjamin Franklin Parkway. Action News is told a small fire broke out inside the hotel. Guests were evacuated briefly as firefighters arrived. They were allowed back inside once the situation was declared under control. There was no immediate word what sparked the blaze.